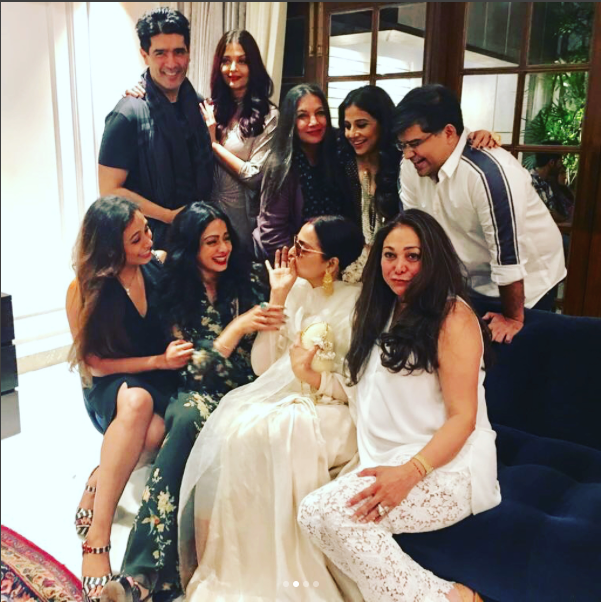 Manish Malhotra recently took to social media to share an amazing shot from an incredible evening celebrating Sri Devi’s birthday. It is one of the most epic pictures even taken that includes of some of the finest actresses in Hindi Cinema. 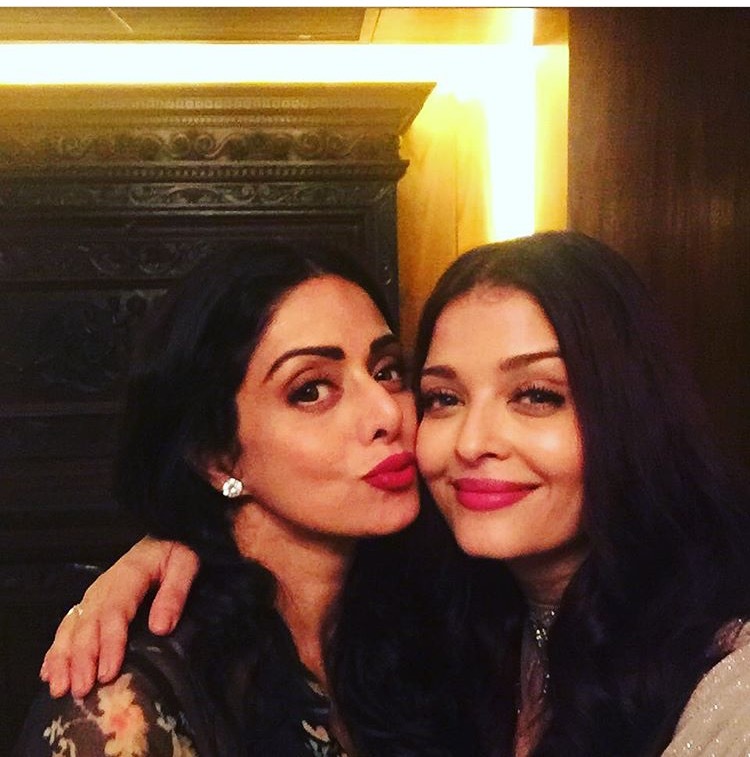 The shot includes the fabulous iconic women Shabana Azmi, Rekha, Sri Devi, Aishwarya Rai Bachchan, Vidya Balan and Rani Mukerjee. 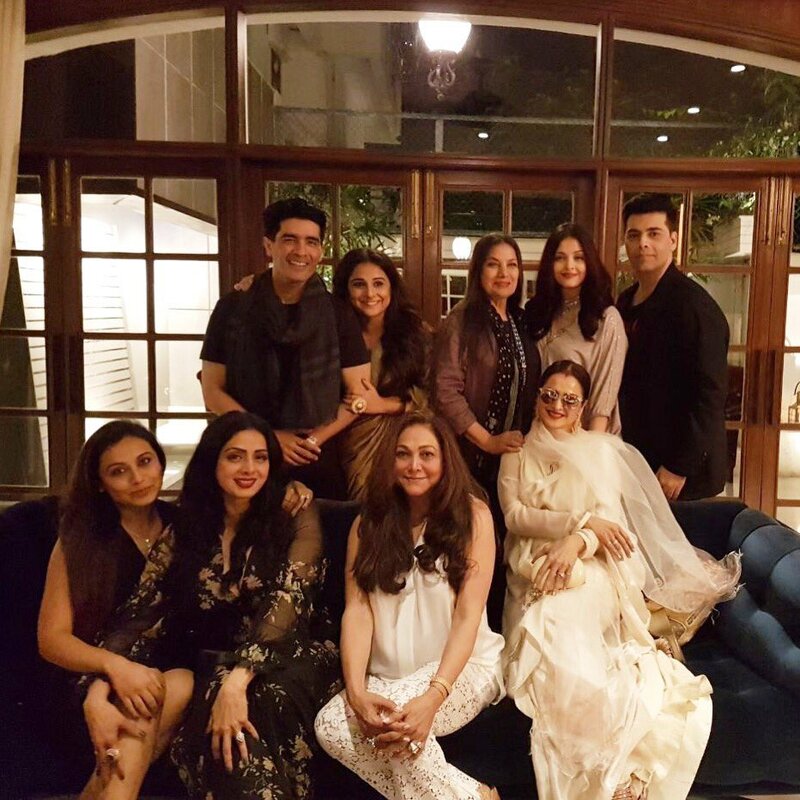 Calling it an unforgettable night, the pictuere also include the famous designer, Tina Ambani and Karan Johar. Seriously the camera cannot handle all the talent and beauty in one shot! I can't get over this picture…precious & priceless💥💥 !! In one frame with some of the biggest & best female actors this country has ever seen…women ive long admired and been inspired by…Thank you @manishmalhotra05 for this night to remember. 15 queries in 0.518 seconds.